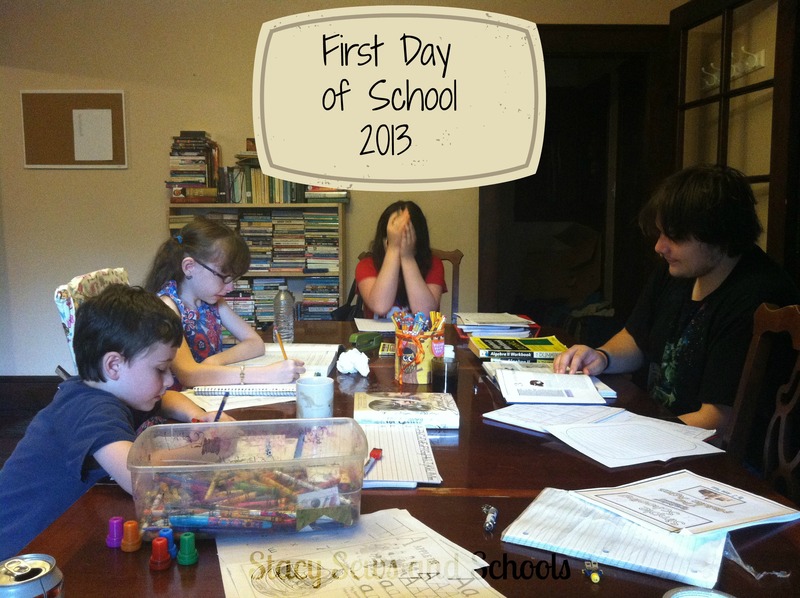 Yesterday was our first day of the new homeschool year! YAY!!!! 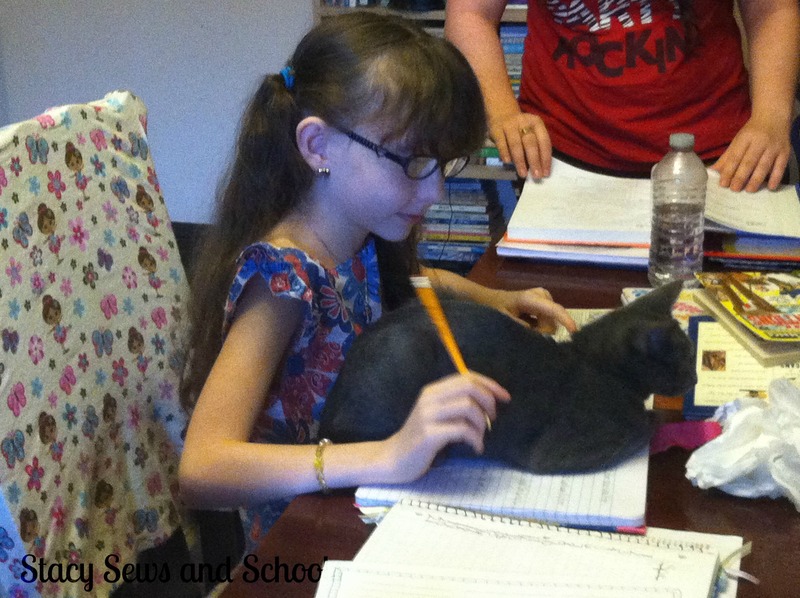 I thought I would share a few of the things we did. 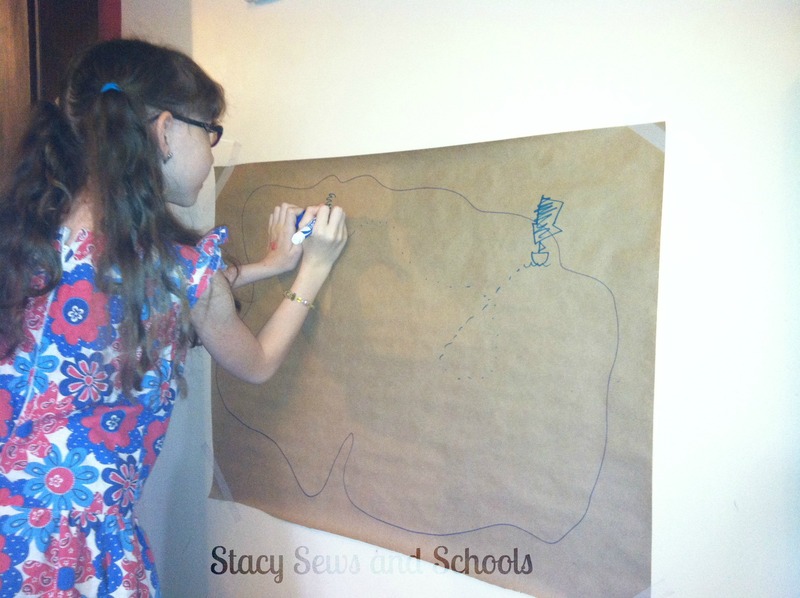 If you recognize Cailey’s dress, it’s the Red, White and Blue dress (click for the tutorial). 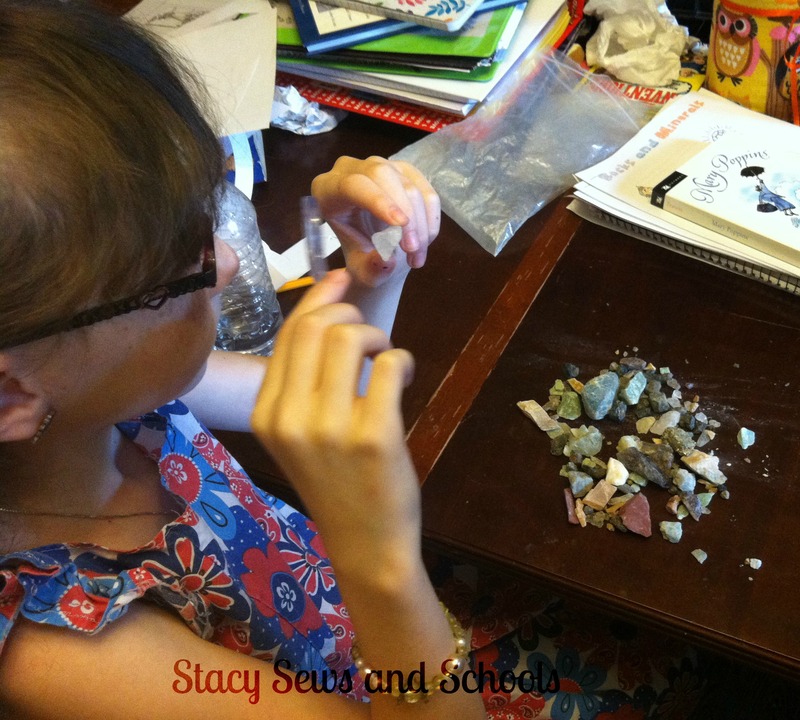 Here, Cailey is examining rocks from our trip to Pigeon Forge on the 4th of July. 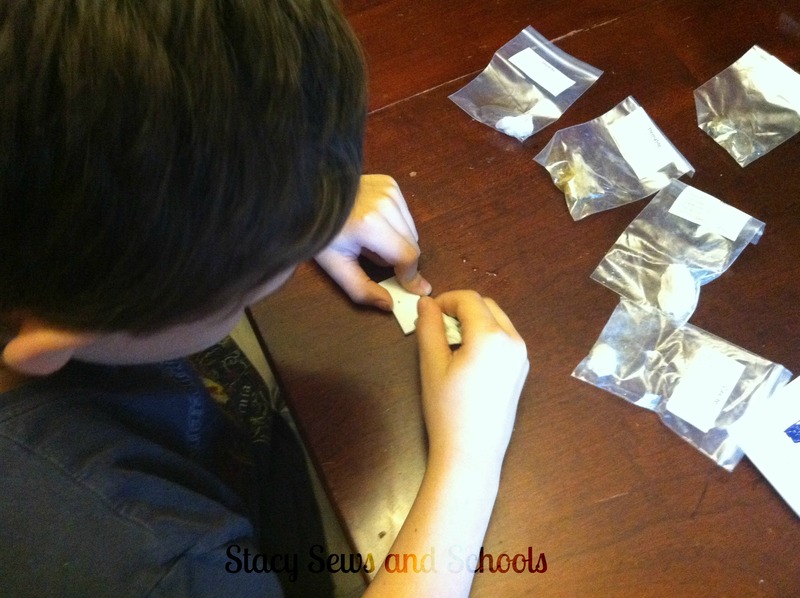 The Rocks and Minerals unit that I put together can be found HERE. 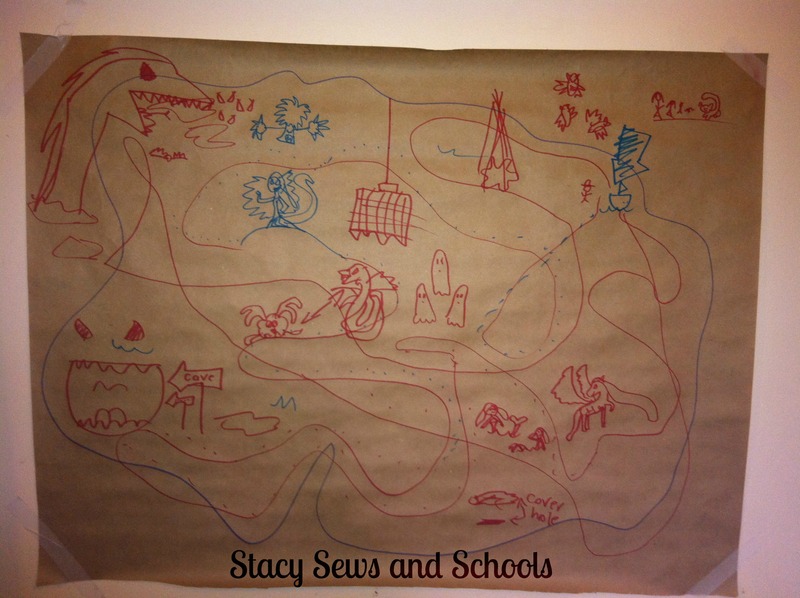 Cailey and Colin are drawing maps! 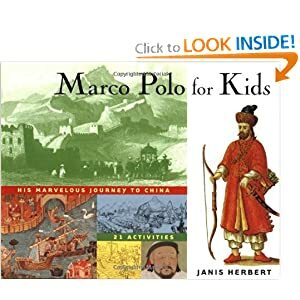 This is the first activity in the book Marco Polo for Kids. 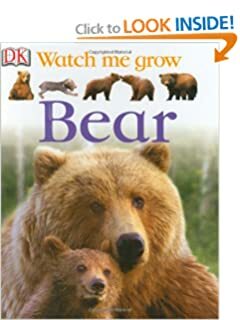 For our Bear Unit click HERE!!! 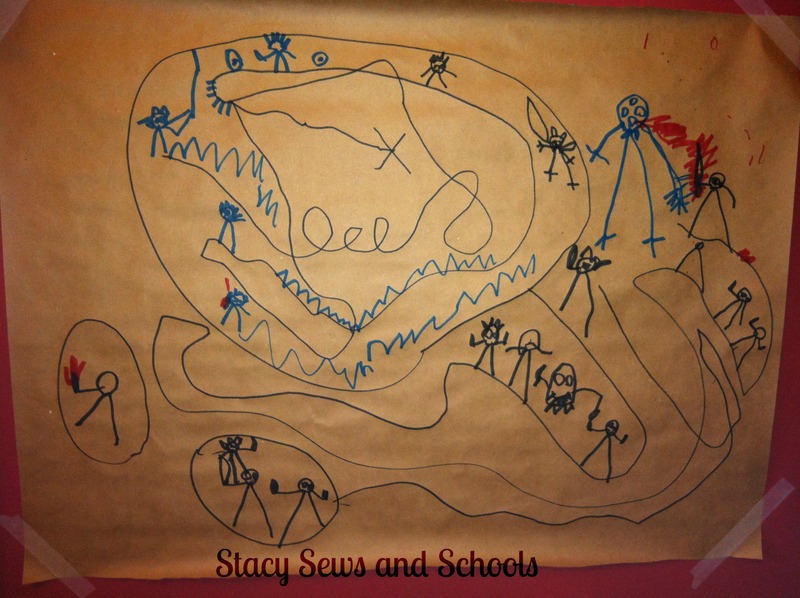 It’s so much fun for me to get a peek at your home school and all the activities you do with the kids. But I really love sending my kids off every day . . . Thank you!!! I have so much fun with it. 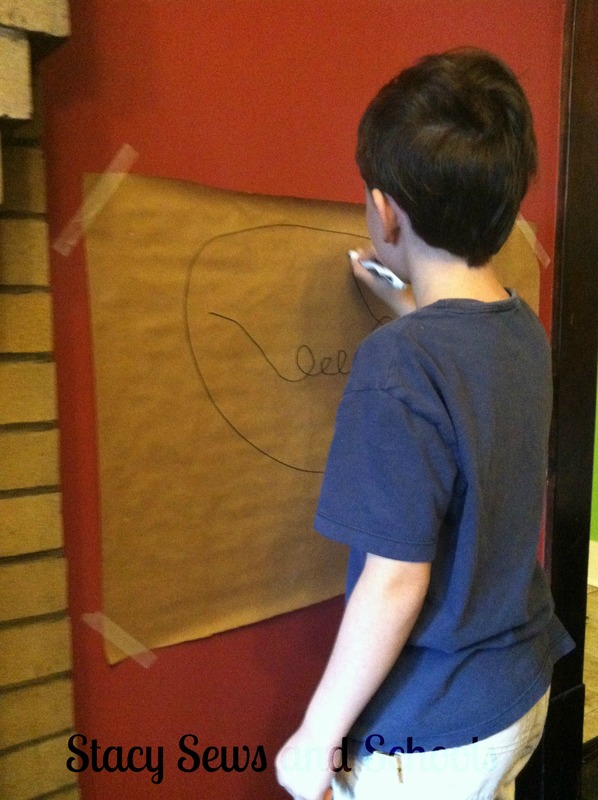 I love your Idea on putting the paper on the wall to draw the maps, Do you let them hang them in their rooms when you are done with that unit. Thank you, Misty! I figured it was much easier for them that way. Sounds like a fun day! I love the maps!